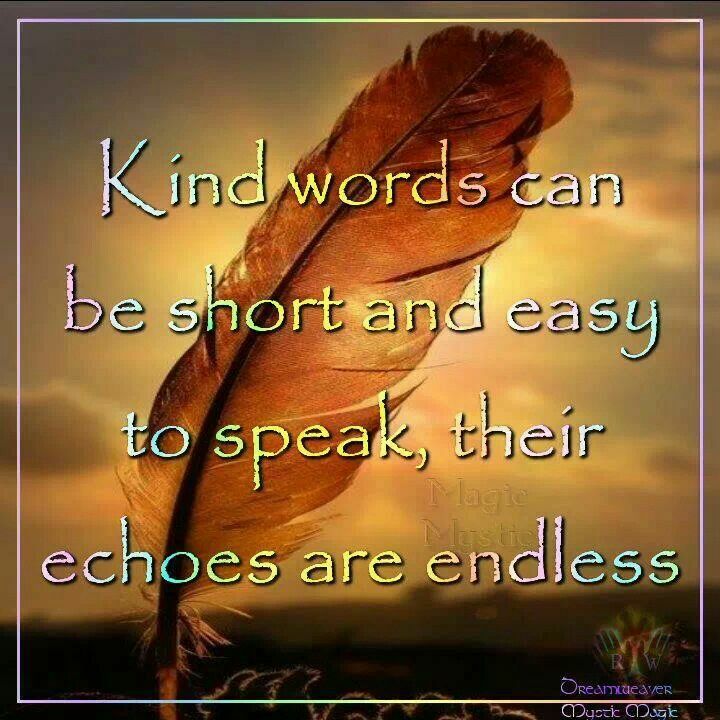 What happens for you when you speak kind words to others? This entry was posted in Another Message for Self Care, White Eagle and tagged easy, echoes, kind words. Bookmark the permalink. ← What are three things that matter?